Want a look at how one company which runs Postgres as a service implements their HA? Well here it is, a great look under the cover of someone else’s approach for HA. Lots of applications want history for their applications, and for as many times as it’s been desired implementing it is still often left up to you. Here’s a great post on how it can more easily be done with hstore. As application complexity increases, it’s important to keep a focus on what really matters to your business - your application revenue. With AppDynamics, you get 100% visibility into application revenue in real time so you can now be more effective in how you identify, isolate, and resolve application issues that affect the business. 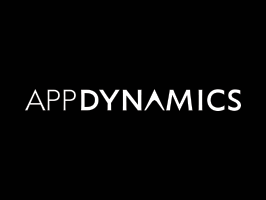 Get started with AppDynamics. The ‘COPY’ statement is a powerful way to load data into Postgres, but it’s more like a chainsaw than a surgeon’s scalpel. Pgloader is a tool that’s meant to help with the process of loading data from other sources into Postgres with better support/error handling. Want to dig deeper beyond just assuming your ORM is doing what you want and learn more about how Postgres handles transactions and how it applies for your application? Here’s a deep dive with details on the two most popular Python ORMs. Under the covers the Write-Ahead-Log or WAL is key to how Postgres reliably keeps your data. An update to the WAL for 9.5 is going to allow some even more powerful functionality to be built on it.